Usher, Black Thought (vocals); Chris Turner, Damon Parker, Ebony Joi Franklin, James Jaiden Roston (backing vocals); Ian Hendrickson-Smith (saxophone); Dave Guy (trumpet); Damon Bryson (tuba); Kirk Douglas, Luke O'Malley (guitar); James Poyser, Ray Angry (keyboards); Mark Kelley (bass); Questlove (drums); Aaron Draper (percussion); Jeremy Ellis (MPC). They have come to North Sea Jazz so often The Roots know the route blindly. This year they will bring Usher as a special guest. 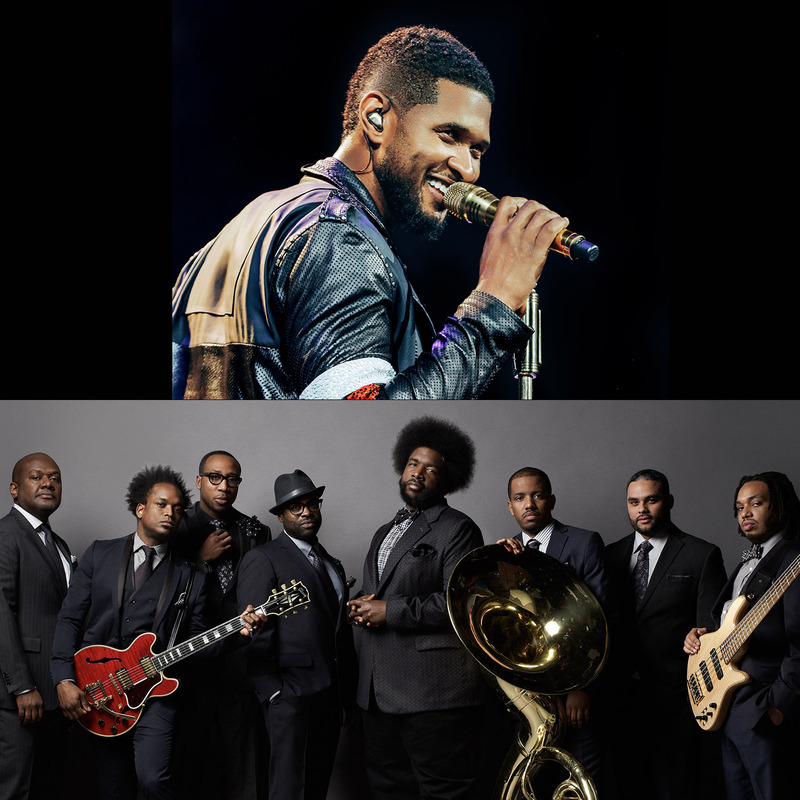 Better said, mega star Usher (65 million albums sold) will bring The Roots. Not just any accompanying band; their jazzy and organic approach to hip hop made them into "one of the best live acts ever" according to Rolling Stone magazine. Rumors about this project started back in September 2016, when Usher and The Roots attended a benefit night in Canada. If you have seen The Roots at the festival before, you must know they are fully able to stand on their own two feet, but their interaction with sweet-voiced Usher is now already being described as the merging of two musical superpowers. Previous shows have been groundbreaking while classic hits are given a new shine by both acts.